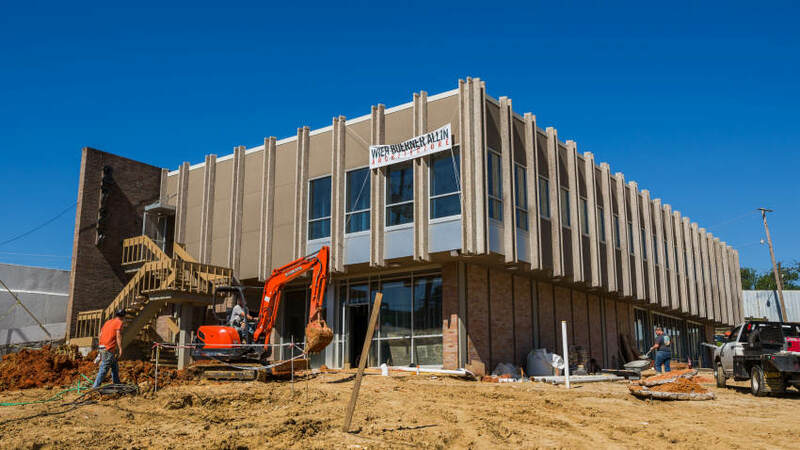 The new office at 2727 Old Canton Road, a two-story late modernist style, Jones and Haas designed building, at the start of renovation. A casual observer might not be able to tell if these young people having lunch at Babalu Tapas & Tacos are friends, or if they are coworkers. There is lots of laughter, inside jokes and camaraderie. But they are indeed coworkers, architects in fact, at Wier Boerner Allin. Jamie Wier and Michael Boerner began the firm in 2009. For the first year, they mostly worked out of their living rooms or local coffee shops like Cups and Starbucks. Partner Jack Allin joined later on. 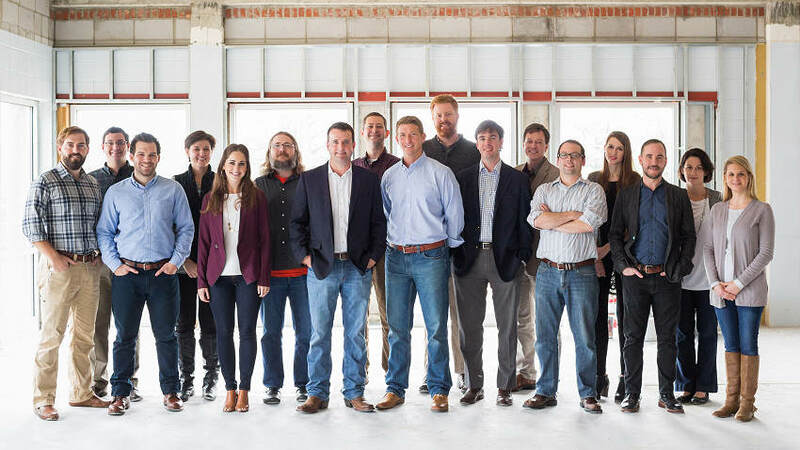 In September of 2010, the firm moved into the first floor of Fondren Corner. Wade Thompson, associate, joined shortly thereafter in 2010. The firm grew quickly, adding associates Brian Wiginton and Molly Frascogna in 2011, and Ryan Hansen and Russ Markle in 2013. Eric Whitfield joined in 2012 and has recently been promoted to partner. 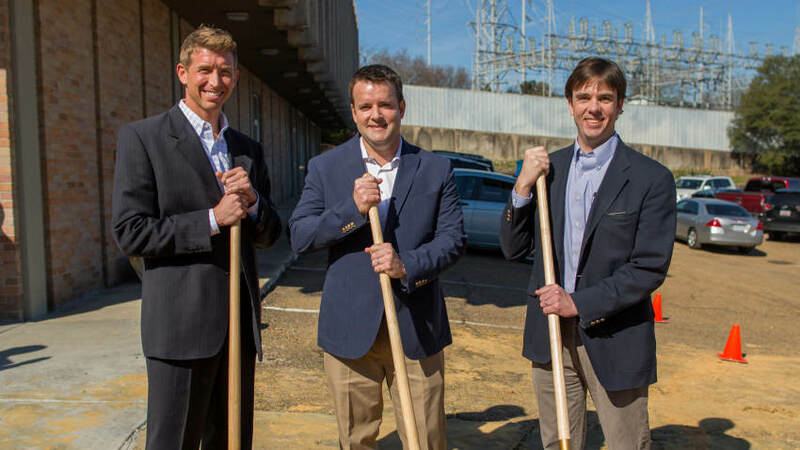 The firm recently acquired and renovated the building near the fork where Old Canton Road meets State Street in Fondren. Some elements are still under construction, but the firm is up and running in the space. The final touch will be a roof deck, which everyone seems particularly excited about. One way Wier Boerner Allin fosters community is by being open to designing a variety of projects for a wide range of clients and needs. “It’s very diverse from the type of client to the size and complexity of the project. When we were just starting out, there wasn’t anything we wouldn’t try, no matter how small,” Thompson says. 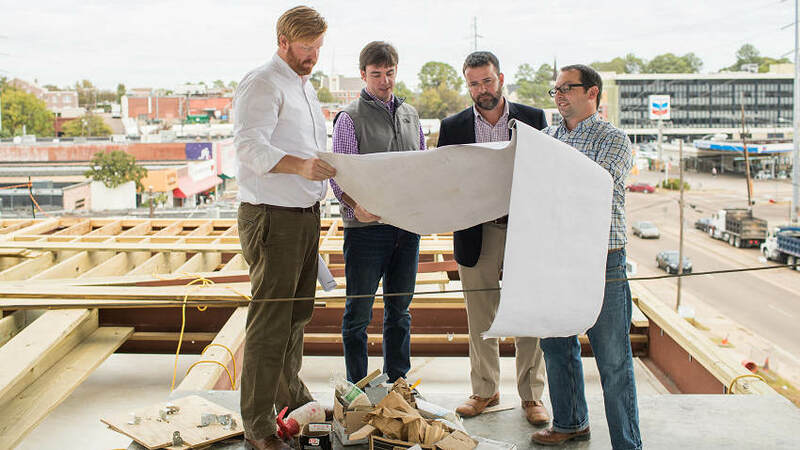 “I think our most important Fondren project is Babalu, which was one of the jobs Michael, Jamie and Wade took on in the infancy of the firm. That job became a good springboard for a lot of other things,” Hansen says. 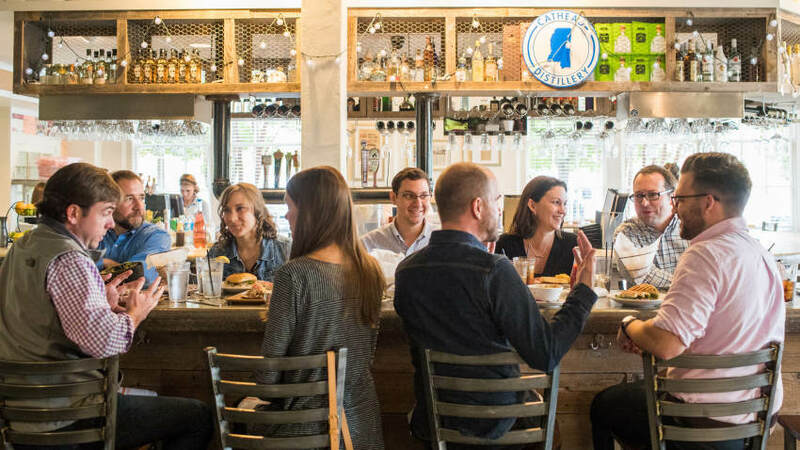 With Babalu expanding across the region, their designs have been replicated over and over. “All of the other Babalu locations have similarities, but each one has its own character. The owners didn’t want to take the same design and stamp it somewhere else, but rather to reflect the community around the restaurant,” Whitfield explains. 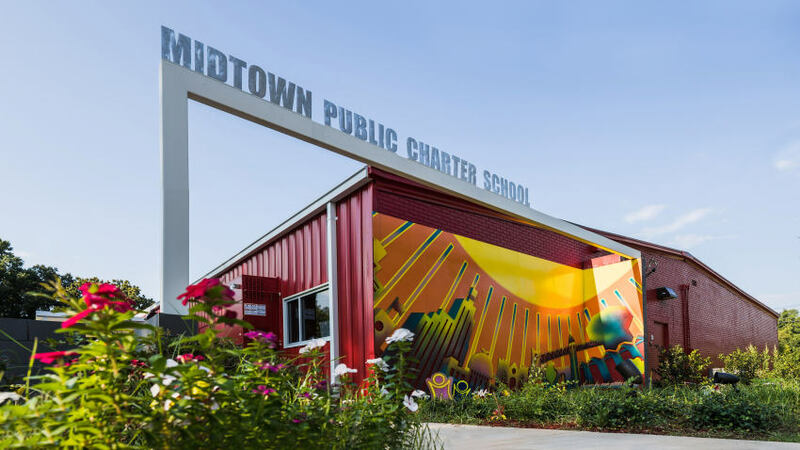 The firm is also particularly proud of their work on the Midtown Charter School. “It’s small and not flashy, but it speaks to the aspiration we have to do meaningful work that contributes to the community around us,” Hansen says. These architects work hard, but enjoy having the flexibility to balance personal and work life. “From the onset, Jamie and Michael went to other leaders in the community and tried to pick their brains on what created success for their companies. One thing that came out of that was to hire people who are smarter than you – they are very intentional on finding all-star people to work for them. They look for collaborative spirit in each person. We take our deadlines very seriously and sometimes do more work than we even need to, but we have fun doing it,” Whitfield says.